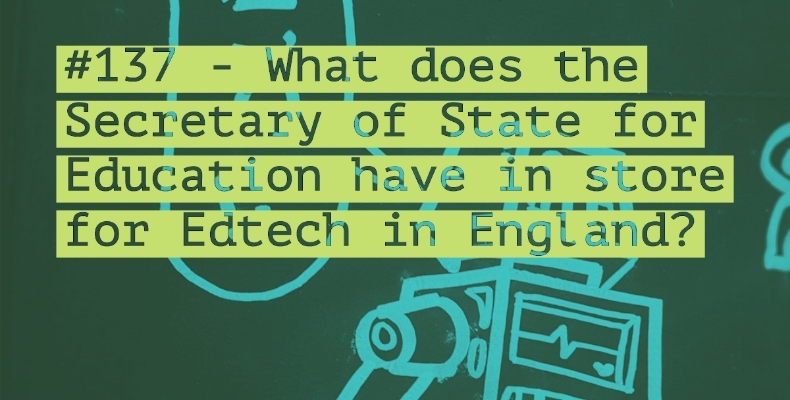 News > Events > The Edtech Podcast: what does the education secretary have in store for edtech in England? Hello everyone, this week we listen into the UK education secretary’s plans for edtech in England, plus the creative brains behind Scratch on the early days of computers, a teacher and the Institute of Imagination on hands-on learning, a new club for edutainment toys, and an insanely enthusiastic digital media FE teacher on collecting Masters degrees and delving into research on AI, our emotions and learning. Enjoy! Thank you to Cool Initiatives for sponsoring this week’s episode. Read more about their competition, and the chance to win £10k, here.